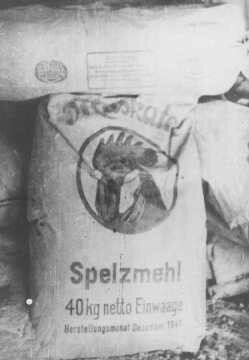 Sack of wood flour (finely powdered wood or sawdust) used to make substitute bread. The official ration of this "bread" for Soviet prisoners of war was less than 5 ounces a day. 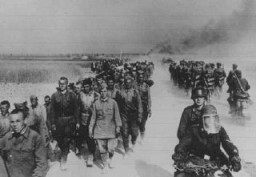 Deblin, Poland, 1942 or 1943.